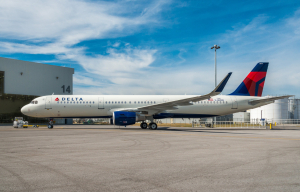 For the most part, 2018 was a good year for Delta Air Lines (NYSE: DAL). 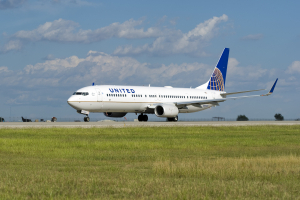 The carrier grew its adjusted revenue per available seat mile (RASM) by 4.3%, offsetting the vast majority of a roughly $2 billion year-over-year increase in its fuel costs. However, Delta limped into the end of the year, cutting its fourth-quarter unit revenue guidance twice between early December and early January. It continued to send mixed signals with its Q4 earnings report on Tuesday. While Delta's earnings results slightly exceeded its most recent guidance, the airline disappointed investors with a weak outlook for the first quarter. Delta's adjusted RASM rose 3.2% in the fourth quarter. While that was near the low end of its original forecast for 3% to 5% unit revenue growth, it was a little better than the carrier's early January projection of a 3% increase. 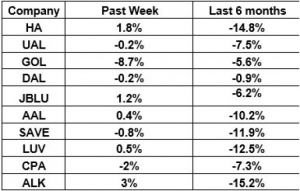 The airline highlighted a 0.5 percentage point headwind from the strong dollar. Nevertheless, unit revenue grew at a similar pace for Delta's international routes as in the domestic market. Nonfuel unit costs fell 0.5% in the quarter, but this strong cost performance was offset by a 25% surge in Delta's average fuel price. Even so, Delta achieved an 11% adjusted pre-tax margin last quarter, up from 9.8% a year earlier. The reduction of the corporate tax rate due to tax reform provided an additional boost, as did the company's share repurchases. As a result, Delta's adjusted earnings per share surged more than 40% to $1.30, reaching the high end of its guidance range. For the full year, adjusted EPS rose 19% to $5.65 -- although to be fair, the increase was driven completely by tax reform benefits. 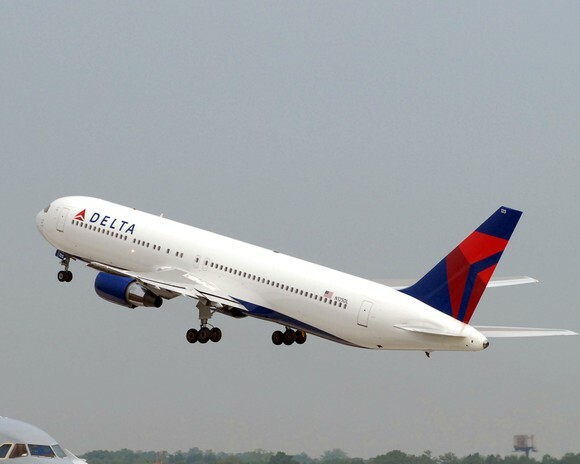 Delta posted strong earnings growth last quarter. Image source: Delta Air Lines. All in all, Delta delivered solid earnings for the fourth quarter. Unfortunately, its outlook for the first quarter gave more cause for concern. Investors were underwhelmed by the 2019 outlook that Delta revealed at its investor day last month. Its revenue guidance implied that RASM will increase just 1% to 3% this year -- well below the pace achieved in 2018. On Tuesday, management offered an even drearier forecast for the first quarter: It expects 0% to 2% RASM growth for the quarter. Fuel costs have plunged over the past few months and nonfuel unit costs are set to rise just 1% to 2% this quarter, but Delta is still on track for minimal earnings growth in Q1. Its EPS guidance range of $0.70 to $0.90 missed the average analyst estimate of $0.95 by a wide margin. Delta blamed several factors for its disappointing forecast. First, the strong dollar will continue to hurt revenue. 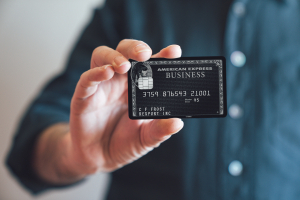 Second, the timing of Easter in 2019 will push some revenue from the first quarter to the second quarter. Third -- and most notably -- the government shutdown is having a significant impact on Delta's unit revenue. The airline estimates that it will miss out on $25 million of revenue this month from government-related travel that was canceled because of the shutdown. Despite its discouraging Q1 forecast, Delta is sticking to its full-year guidance, which calls for adjusted EPS between $6 and $7. That implies a solid 15% increase in EPS at the midpoint of the range. Among the three headwinds mentioned by management, the strong dollar will probably continue to hurt unit revenue, but the impact should be very manageable. Meanwhile, the timing of Easter will hurt only the first quarter. In fact, Delta's Q2 RASM should benefit from a later Easter. The real question is how long the government shutdown will drag on. So far, the main impact on Delta has been from lost government travel. But the absentee rate among Transportation Security Administration workers -- who won't be paid until the government reopens -- has started to rise. Eventually, this could cause security-screening wait times to surge, causing people to postpone or cancel travel. That would have a much more dramatic impact on airlines' unit revenue. The good news is that Delta has a strong balance sheet and is well positioned to ride out a potential period of volatility. Eventually the government will reopen -- and when it does, Delta Air Lines stock could take off. David and Tom just revealed what they believe are the 10 best stocks for investors to buy right now... and Delta Air Lines wasn't one of them! That's right -- they think these 10 stocks are even better buys.